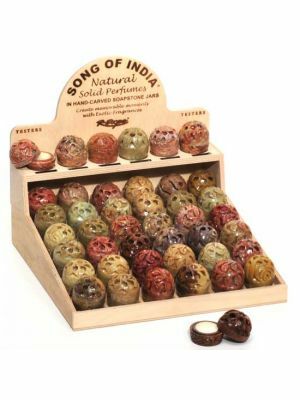 Let your customers sample the perfume when you buy Song of India Natural perfume oils. Tester board with 9 scents. 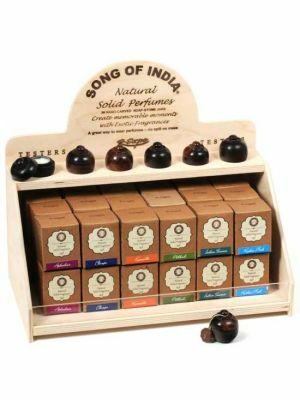 Customize the board with the 9 scents you sell. Must purchase 3 each of 9 scents in any bottle type listed below to purchase this tester board. Please keep in mind that not all fragrances are available in all bottle types. 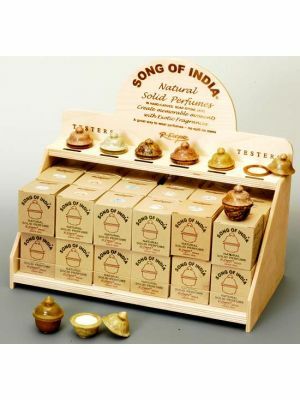 Comes with: Wood board with 9 attached glass bottles, 9 tester perfume oils, 9 glass dippers.